Strength - Our shelving system is incredibly strong. Our wood is grown in northern Scandinavia, which produces a tight ring growth; we then engineer and finish the shelves, adding further strength. We also use only high quality metal supports, ensuring an unrivalled long-term sturdiness. Flexibility - Our system is modular, meaning it suits any home or office and you can tailor your unit to precisely fit a space. You can even start out with a small unit and expand it as your requirements change. Durability - We use only solid wood, chosen and engineered for longevity, so the system you buy today will last you a lifetime. Style - Our shelving system offers a timeless design to suit any home or workplace. We use only solid wood and finish our shelves to a high standard, creating a flawless appearance that never goes out of fashion. Easy Assembly - Simple, functional engineering means our shelving system is extremely easy to assemble. Units can be put up in minutes, and the durable design means they can even be easily taken down and reassembled. Quick Delivery - We endeavour to get all orders delivered within 48hrs and enable you to choose a preferred delivery date, so your order will arrive exactly when it's needed. 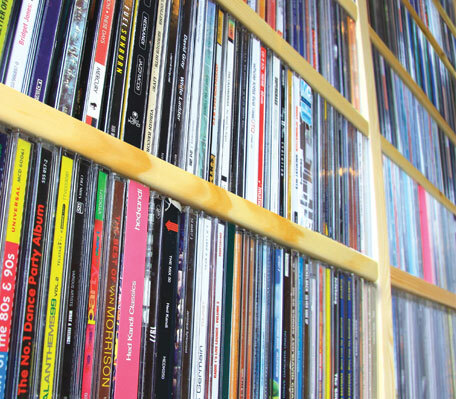 Highly recommended - We've been selling our shelving system in the UK for over 30 years. And because our unique system hasn't changed in all that time, you can be confident that if you ever need to expand your system, you'll always be able to get new parts that fit perfectly. is a multifunctional bookcase / shelving system for the home and office, shops schools... You can create any arrangement you wish from a simple shelving unit to a complete library / storage solution. 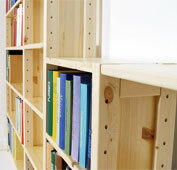 For over 25 years we have been providing shelving solutions for all around the home and office, shops, schools... The list is endless.